The ‘Wagenburg’ a part of the castle Schoenbrunn in Vienna – where carriages from the monarchy are shown, invited young artists to produce works in context to the theme of the ‘archive’, as a special exhibition. Silver and red was chosen as the main colour. We did the whole exhibition material from the catalogue through the invitations to the graphics in the exhibition space. 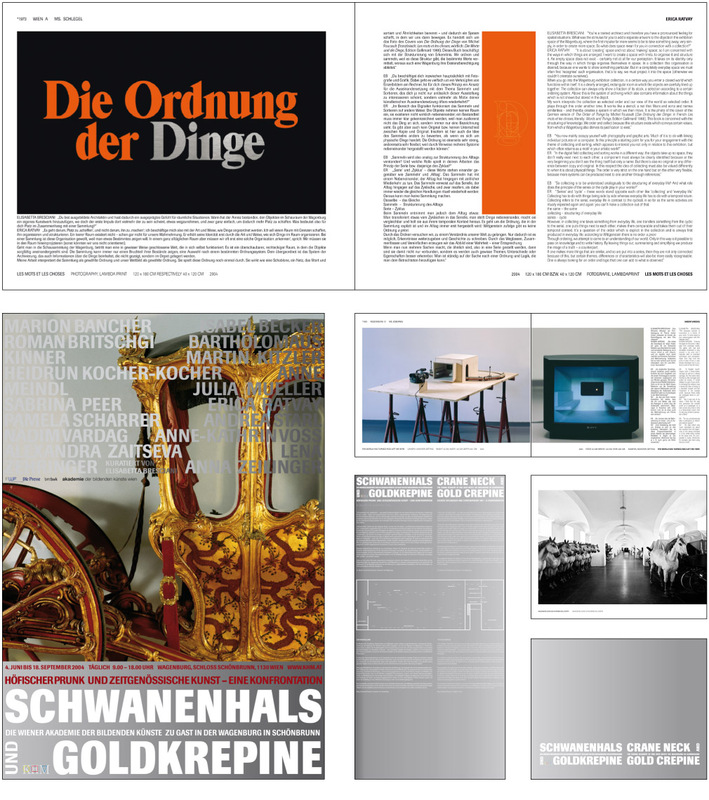 The catalogue starts with an introduction for the ‘Wagenburg’, from the museum archives where all there carriages are stored and their offices to the exhibition space. The core of the publication consists of double pages showing the modern art pieces in the exhibition. It concludes with an inventory list of all the carriages the museum owns (the first time ever assembled) – in text and image.